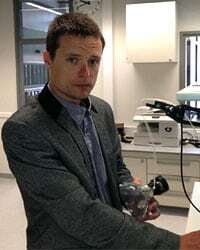 Jarek Mäestu is a highly respected researcher at the University of Tartu and the Chief Sports Scientist at Sportlyzer. He has also worked as a rowing coach, raising successful athletes (including the Estonian champions in junior 18 quadruple sculls). I work as a researcher and lecturer in Coaching Sciences in the University of Tartu. Coach for Estonian champions (junior 18 quadruple sculls). What is the article you have written that you are most proud of? Why? There are two review articles that are related to training performance and monitoring – “Monitoring of training and performance in rowers” in Sports Medicine (2005) and “Peripheral signals of energy homeostasis as possible markers of training stress in athletes: a review“ in Metabolism (2009). There are also at least two experimental studies that I would like to highlight. In 2008 we published a study „Increases in ghrelin and decreases in leptin without altering adiponectin during extreme weight loss in male competitive bodybuilders“ and „The influence of increased training volume on cytokines and ghrelin concentration in college level male rowers“. The first two studies summarize different biochemical or physiological parameters that can be used in training monitoring process and the other two indicate what could be the influence of negative energy balance on performance and body composition. Do you have any advice to young researchers-to-be? Focus your research! Read, but be critical about what you read. What is your biggest motivator – what keeps you going as a scientist? Looking for the answers of what mechanisms are behind the performance of the athletes. What will be the next big thing in rowing science? What will make rowers even faster? Good question… I do not know :). The second part of the question – more effective training, I guess. But how… this is what we are searching for. You have also been a rowing coach. What are the brightest memories? Currently my aim is to exercise, on average, 1 hour a day, but I have failed to do it in 3 recent years. Mostly I do inline speed skating in summer and cross-country skiing in winter.